Adiós Morena is the first single off of Afro-Pacific super group, Rio Mira's forthcoming album, Marimba del Pacifico. Composed by Esteban Copete, the single also features remixes by Nicola Cruz, Kaleema & Chancha Via Circuito, Midnight Ravers and M. RUX. In 2015, UNESCO added the marimba to its Representative List of the Intangible Cultural Heritage of Humanity, observing that "Marimba music and traditional chants and dances are musical expressions integral to the family and community fabric of people of African descent in the Colombian South Pacific region and Esmeraldas Province of Ecuador." In celebration of this cultural heritage, and with a main goal of creating an intergenerational meeting between the sounds of Afro music from the Pacific, Rio Mira was founded. The project has a fundamental mission of revitalizing and strengthening bonds between the members of the Afro community from each side of the Colombia-Ecuador border. Rio Mira is co-produced by Ivis Flies (Co-Director and Creator of the musical and social heritage recovery Project "De Taitas y Mamas", nominated for a Latin Grammy in 2013. "Smile Ambassador" in 2010) and Ivan Benavides (Producer of Carlos Vives, Sidestepper, Chocquibtown, Grammy Winner Gaiteros de San Jacinto) and features a number of well known Cali and Esmeraldeña artists including Esteban Copete and Karla Kanora. 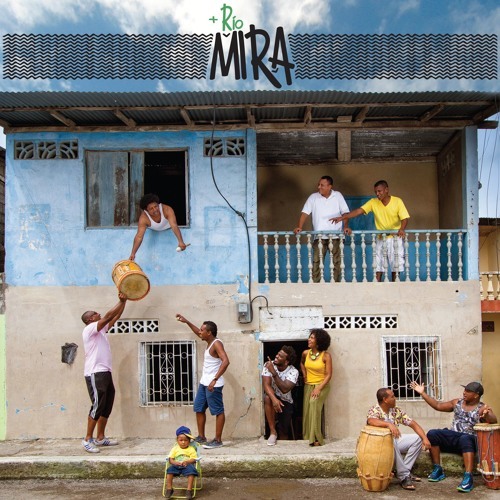 Rio Mira's first album, Rio Mira - Marimba del Pacifico, will be released in 2017 on AYA Records.